How have you been? Well Sydney is finally warming up after what seemed like an ice age had began. I’ve been super busy working on new projects but rest assured I’ve been conjuring up new recipes to share. Today’s recipe was inspired by my local butcher closing down – for years I’ve been shopping at GRUB which is an ethical butcher in the Eastern suburbs of Sydney and one that provides some wonder meat and offal. Needless to say I’ll miss it. The recipe is pretty straight forward but with the right cooking technique it’s very easy to bring the dish to life. 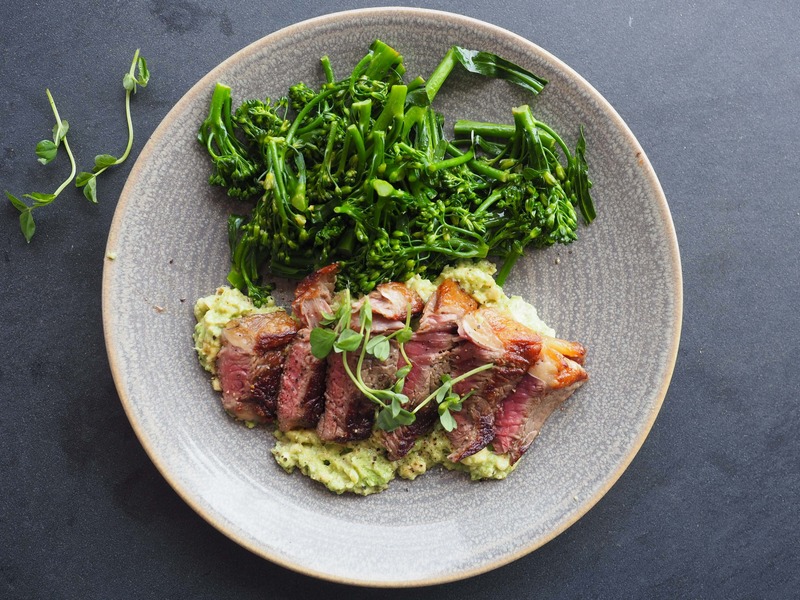 The acidity in the avo smash helps to cut through the fattiness of the steak – yuuuuum!